Receive mobile notifications whenever there’s activity on your doorstep. 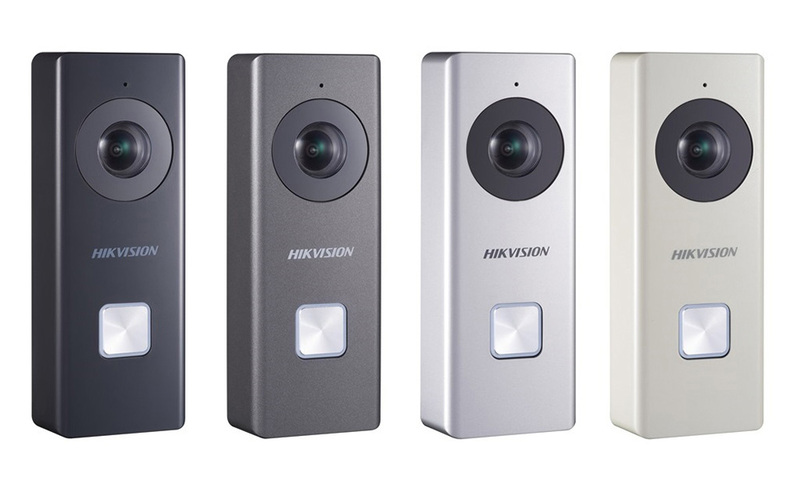 The Hikvision WIFI doorbell is designed to be mounted on your front door and provide instant notifications to you on your smart app (IVMS or Hik Connect) whenever it detects motion. It also comes with a chime and initiates a 2-way call whenever the button is pressed by a visitor. Seamlessly connects to your home WIFI to give you a live video feed and alerts when there is activity. Rest assured that you will be notified on your mobile device when there is activity on your doorstep. The wireless doorbell comes with access to the Hikvision Connect app used to monitor your door bell from anywhere. Have a peace of mind knowing that the Hikvision WIFI video doorbell is watching your doorstep at all times. The Hikvision WIFI doorbell features a wide angle fish eye lens which allows you to monitor much more than just your front door. We Install and configure Hikvision Wifi Doorbells.